Just arrived Manhattan earlier today for one day of business meetings and one day of exploring Brooklyn with my best friend. In all the years that I have been coming to Manhattan I have never visited Brooklyn. Do you have any must see’s or restaurant recommendations that you can share? I would love to hear from you. 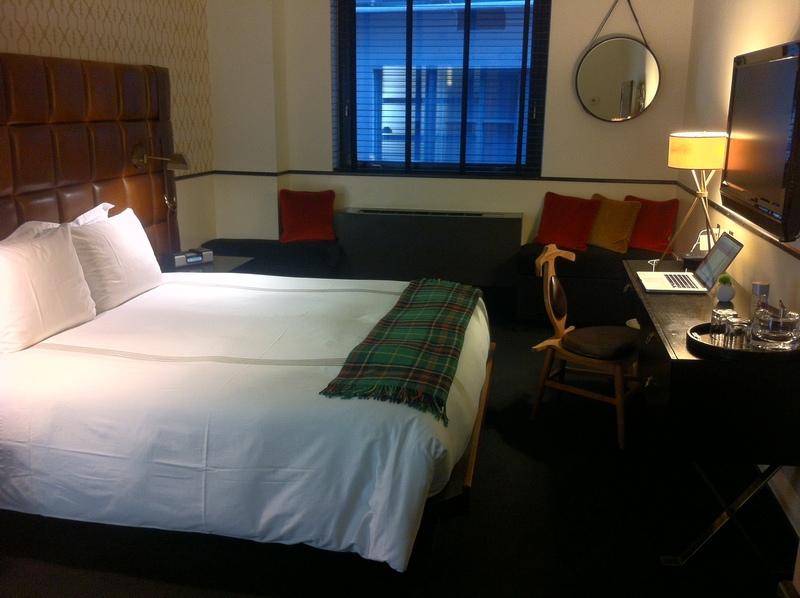 I am staying at Gild Hall by Thompson Hotels. Feels a bit like a townhouse in London with dark wood furniture, leather accents and a comfortable “library” feeling. The location is perfect for my meeting on Wall Street just a few blocks away and close to the Fulton Street subway station which allows me to easily navigate the island. After getting settled into my room I decided to pull up an article that I had saved via Readability from Travel & Leisure that outlined 32 of the top restaurants in New York. 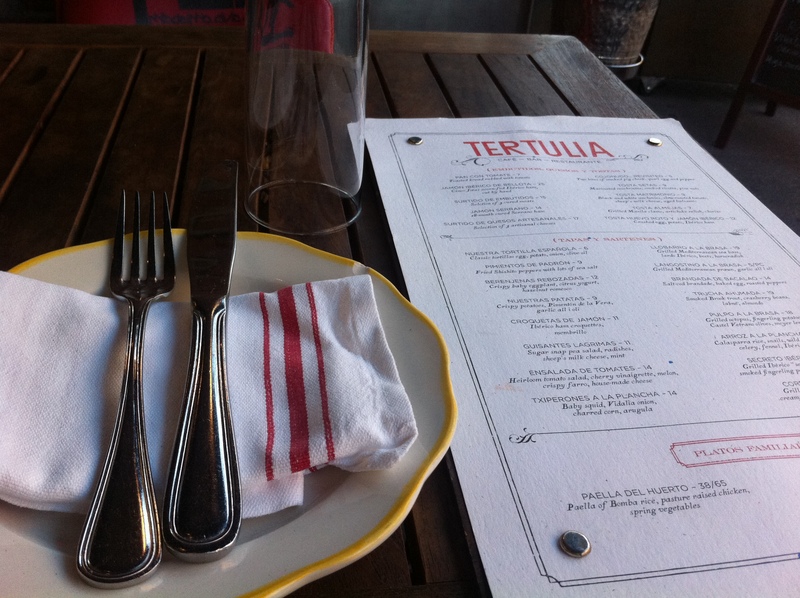 I decided to head up to the West Village to try Tertulia which is celebrating its’ first year anniversary this week. Chef Seamus Mullen brings Spanish cuisine to Manhattan with a fresh and clean approach. The restaurant was nominated for Best New Restaurant this year by the James Beard Foundation. Certainly a lot to celebrate at Tertulia after just one year on the scene. As I sat on 6th Avenue enjoying my meal I was transported with memories about my recent trip to Spain where I gained a new appreciation for their cuisine. Read more about my adventure here: Barcelona: A Culinary Trip. 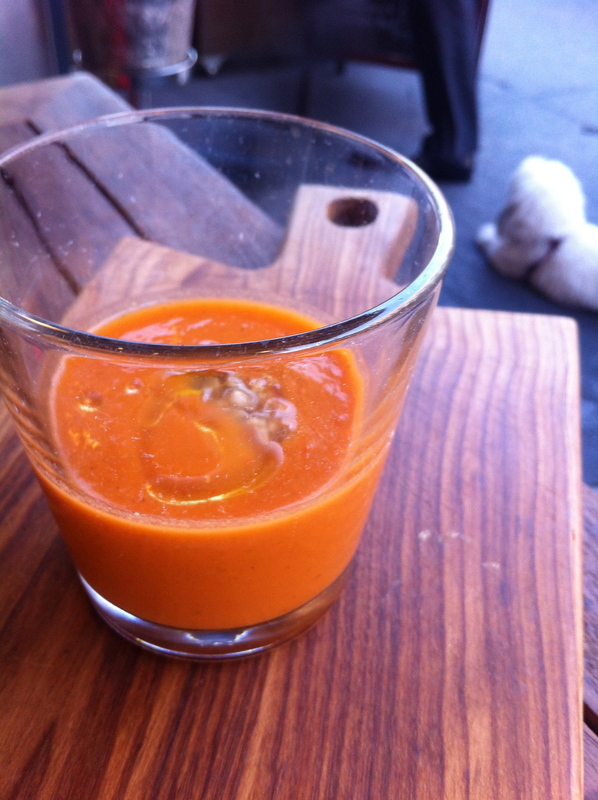 I started my meal with a glass of red wine sangria and a fresh heirloom tomato gazpacho with hints of cucumber served “up” in a glass for easy drinking. Whenever padron peppers are on the menu, I can’t resist. 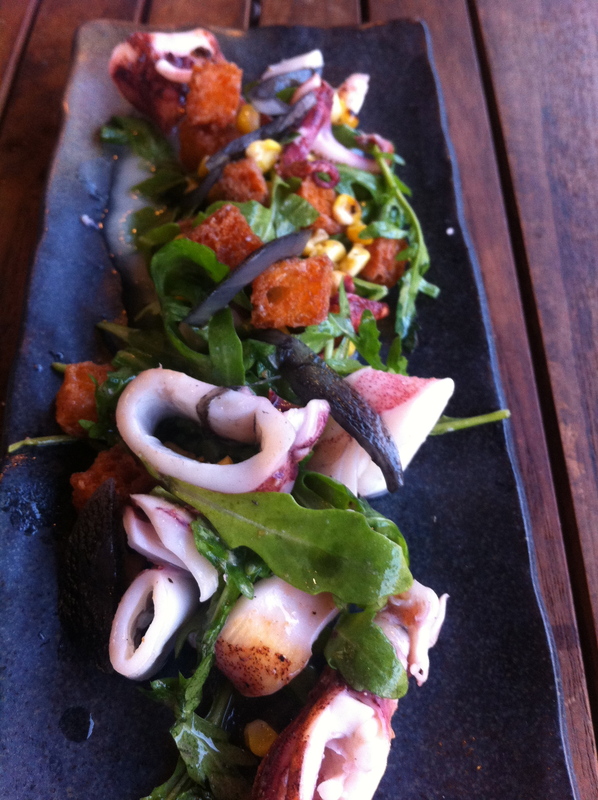 I enjoyed a nice plate of salty peppers and then had grilled squid salad served with arugula, corn and vidalia onions. Fresh salad for late summer. 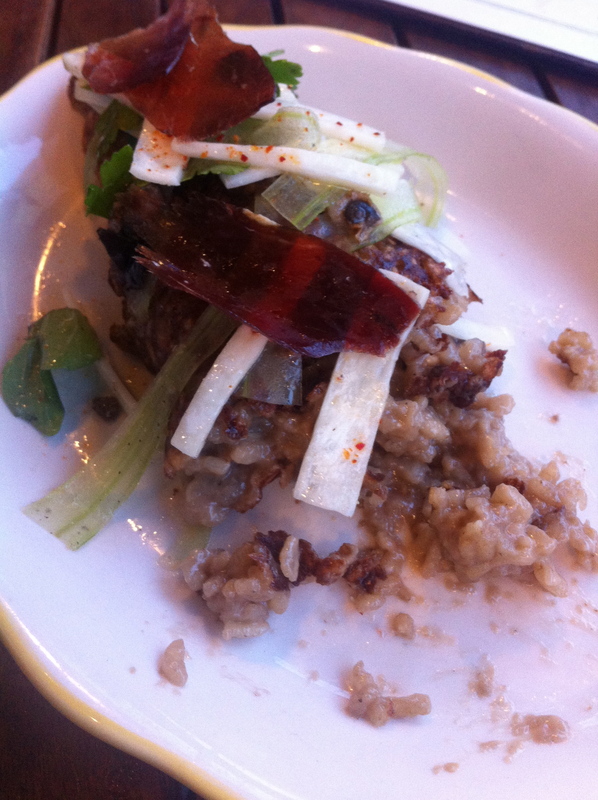 Then it was time for Arroz a la Plancha which is calasparra rice, snails, wild mushrooms, celery, fennel and Spanish ham. Amazing and filling. 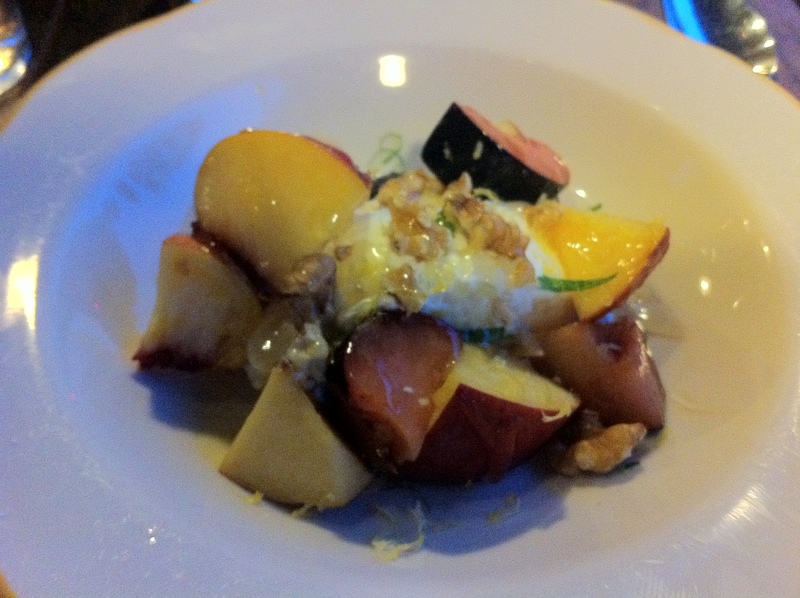 I ended with a bowl of fresh peaches, honey, nuts and whipped ricotta cheese. A perfect warm summer dessert. Lots of sweetness without any heaviness. I cannot recommend this place enough. Friendly and helpful service, great menu and the food simply speaks for itself. Give it a try.